Sitges in Spain is a place worth traveling to if you love genre movies. Each year in October, one of the most exciting genre festivals in the world takes place in this small seaside town: the Sitges Film Festival. 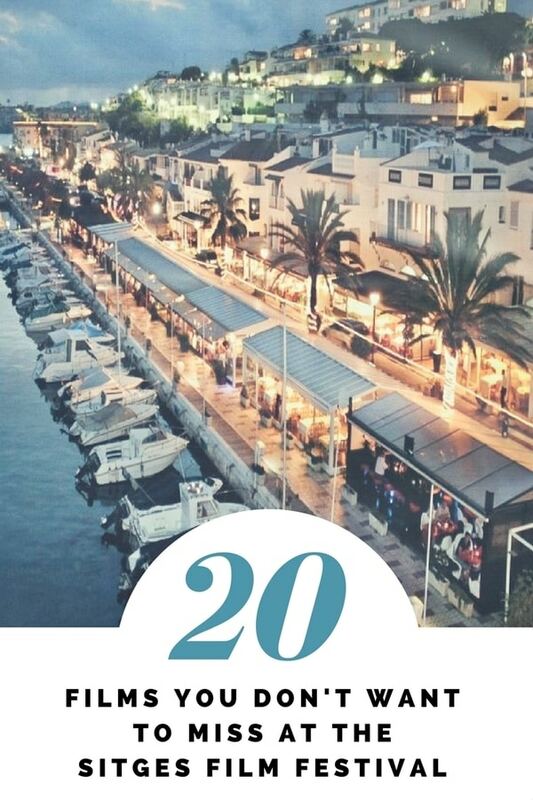 Who can resist ten days filled with good movies, sun, sea, and tapas? We've already made a selection of the most promising films of the Sitges Film Festival for you. The movies with a * are the ones that we've already seen and loved. A Ghost Story is a unique tale of spirits in which Casey Affleck plays a specter draped in a classic white sheet that dwells around his former house while his loved one (Rooney Mara) struggles with the loss. A group of friends from college gets together to take a hiking trip to the mountains of Sweden, with the intention of paying tribute to one of them, who died a violent death. Once they get deep into the woods, a threatening presence begins to stalk them. Based on one of the best horror novels in recent years, Adam Nevill's The Ritual. The new movie by Jaume Balaguero (The Nameless, Darkness), tells the story of professor Samuel Solomon. After his girlfriend’s sudden and tragic death, he suffers from a recurring nightmare in which a woman is murdered. This same woman is found dead... in identical circumstances as in the dream. When Samuel meets Rachel, a young woman who claims she’s dreamed about the same murder, they will do whatever they can to discover the identity of the mystery woman, immersing themselves in a dark world. Liz leads a peaceful life, but when she hears the new reverend’s first sermon, the young mother realizes her past has caught up with her. Thus begins an epic pilgrimage, full of blood and suffering. With Dakota Fanning, Guy Pearce, Kit Harington, and Carice Van Houten. On a lost island in the middle of the ocean, night after night and sheltered in a lighthouse, two men defend themselves from the siege of some strange marine creatures. Subjected to extreme tension and not understanding the reasons for the attacks, they’ll have to rethink how to face the unknown. Lucidity and derangement, rejection and desire, cruelty and love, are combined in this adaptation of the best-selling novel by Albert Sánchez Piñol. The famous director and screenwriter of It's Alive, God Told Me To and The Stuff receives the tribute he deserves in a documentary that reviews his life and work and includes testimonies from illustrious collaborators and fans. Justin’s family takes extreme measures to go and rescue the teen from the sect that has brainwashed him, abducting him and whisking him away to a remote cabin. But things won’t be that simple because the cult isn’t willing to give up their acolyte so easily. A battle then ensues that will put blood ties to the test and unleash an all-out bloodbath. Similar to The Strangers Outside. Halloween night 1997. It's the final day of high school for Corey, Jango and their gang of skaters. When Corey runs into an old friend, Jonah, the two of them walk together as night falls, and memories emerge, exposing ghosts from the past. In the French countryside, an injured biker flees from a bloodbath and finds refuge in the home of a family whom he takes hostage. And he’s right to go hide out: the men that are hot on his heels will do anything to finish him off. You can read more about director Eric Valette's inspirations for his film here. Bernier is a writer who spends his days at the home-studio that artist Luce has on a hill facing the Mediterranean, also in the company of a criminal ring. The arrival of Bernier’s family and some inquisitive police will trigger a shootout that Hélène Cattet and Bruno Forzani deconstruct in their inimitable style, making this Manchette and Bastid adaptation a dizzying feast for the senses. 1969. A British woman and her four children arrive in the American town of Marrowbone, hoping to start a new life. When their mother dies, the youths secretly bury her and begin to seal themselves off from the world, haunted by a threatening presence. In this Scottish zombie comedy, a horde of zombies invades a peaceful town, threatening to spoil the Christmas holidays. Anna and her friends will take on the threat with all their might, confronting zombified snowmen, wild bachelor parties, and uncontrollable teenagers. And they’ll still have plenty of strength left to bust out a few musical numbers. Kira is beautiful, young, and happy until one day when she finds some dry skin on her hand. She soon realizes she’s the victim of a strange disease that makes her skin age prematurely and rapidly. When she discovers that she can replace her own skin with that of another person, she latches onto this terrible solution. A body horror film revolving around beauty and decadence, with echoes of The Neon Demon. Read all about director Norbert Keil's inspirations for Replace at 8 Twisted Movie Recommendations. When a gang of bullies discovers a flesh-eating ghoul in the high-school basement, they capture and torture it for their amusement, thus thinning the line between good and evil. It's only a matter of time before the creature's sibling comes to find her sister and take revenge on the teens. From then on, Mon Mon Mon Monsters becomes huge fun, with some impressive scenes on a school bus and in the classroom. Years before, Justin and Aaron managed to escape from the sect where they had been brought up. Now, they scrape by in an apartment in Los Angeles, until one day, they receive a videotape from the sect, and Aaron starts to doubt whether or not they should return to the camp they fled from. The directors of Spring return to Sitges with a story of brotherhood with echoes of Lovecraft. A renowned surgeon and devoted family man, Steven Murphy (Colin Farrell) has a secret: he sometimes gets together with a teenage boy, who will wind up placing Steven in an impossible moral dilemma. Tragedy looms at a steady pace in this tale with mythical overtones. The king of strange, Yorgos Lanthimos (Dogtooth, The Lobster), continues his Anglo-Saxon adventure with this film, hard-hitting in its approach to violence and surgical in its aesthetic conception. Holly’s mother murdered her father and her sister when she was only seven years old. Two decades later, now an adult who has problems telling reality from the nightmares that are haunting her, Holly meets a famous mentalist, who claims he’s destined to help her. From the director of Baskin. Ian and Samantha go to a nature reserve with the prospect of spending a nice time together. When they arrive, they come across a tent... and no trace of its occupants, except for a little boy. Christmas is unquestionably the most terrifying time of year, and even more so if spent with family. If you’re not sure, just ask the Popes, who have gathered together for this festive season of celebration and gifts. The problem is that this year, instead of wining and dining, the Popes have decided to come clean and say what they think about each other. The truth will end up bathing their Christmas Eve dinner in blood. Spiteful because of her husband’s infidelity, April takes on a lover, but the affair becomes a dangerous and messy deal, worsened by the fetishistic obsession with clothing our heroine suffers from. With this psychological thriller that evolves against the backdrop of the city of Austin, Simon Rumley (from the excellent Red, White, and Blue) pays an explicit tribute to his teacher Nicolas Roeg. Which of these Sitges movies are you most looking forward to seeing? This festival is awesome. You can add more info about it here. I think my audience will love that. It was very hard for me to find a job as a beginner writer, so if you want to write an essay for money, you can join our writing team vip-writers.com .